That's a hefty R1005 per year without a possible interest. Say for interest sake you miss the payments of this fee and your bank charges you 20% per annum interest rate (it may be more than 20%). In that case you would be billed R1092.57 after 12 months. This is before you even swipe the thing. I know, most of people are thinking that R83 is nothing to write a blog post about. I also understand that those lovely people live in the "real" world of wasting money on a daily basis. R83 is a well put together meal on a table in an orphanage for all kids. It is also a good chunk of money if stashed in a unit trust or index fund. 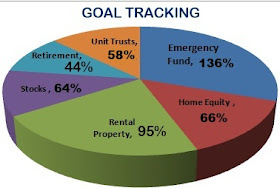 Lets say you decide to stash R83 per month in your index fund or in stocks and rake a good 12% per annum for 10 years. You will close with R19,093.21 in the 10 years period, with R9,133.21 of it earned in interest. That is if the monthly contribution is not increased yearly. This R9,133.21 is what your credit card is actually costing you in fees. Except, its higher because the fees go up annually. 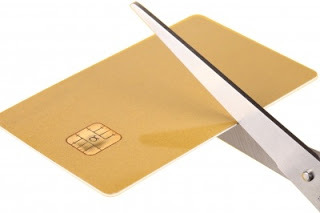 Shouldn't the real cost of credit cards in South Africa scare you? It probably should. Off course the Mr said "Thanks but no thanks". He is with a free Virgin Money credit card. Any kind of a fee will interfere with our goals to give to the less privileged, pay up our mortgage, buy the next car cash, and grow our net worth. So mister credit card, thanks but no thanks we'll pass.